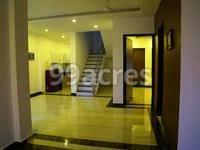 Barsana Shatabdi Vihar in Bithoor, Kanpur by Barsana Properties is a residential project.  The size of the APARTMENT ranges in between 930 sq.ft. and 960 sq.ft. Barsana Shatabdi Vihar price ranges from Rs. Rs. 4.99 Lacs to Rs. Rs. 3.99 Lacs. Barsana Shatabdi Vihar offers facilities such as 24/7 water supply, Inter-com, Lift and Power back-up.It also offers Car parking. This is a RERA registered project with registration number UPRERAPRJ13800. The project is spread over a total area of 6.45 acres of land. It has 25% of open space. An accommodation of 210 units has been provided. Driven by both residential and commercial real estate demands, the real estate scenario of Kanpur is on a positive track. The presence of a number of industries impact the job market in a positive note, leading to generation of housing demands. Well-known developers in the city cater these demands. Where is Barsana Shatabdi Vihar located? 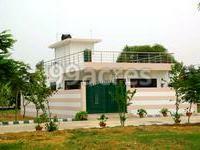 The project is located in Bithoor, Kanpur. How much is the actual area of Barsana Shatabdi Vihar?The area of the project is 6.45 Acres. Does Barsana Shatabdi Vihar have cricket pitch? The project doesn't offer a cricket pitch. Does Barsana Shatabdi Vihar have lawn tennis? The project doesn't have lawn tennis. Does Barsana Shatabdi Vihar have car parking? Car parking is available in the project.